The most popular theory of Leadership today is Transformational Leadership. The idea of transformational theory is all about the close connections formed between a Leader and their followers. Transformational Leaders motivate and inspire people through their vision and high ethical and moral standards. Research suggests that organisations led by transformational Leaders have higher levels of performance than those led by other types of Leaders. 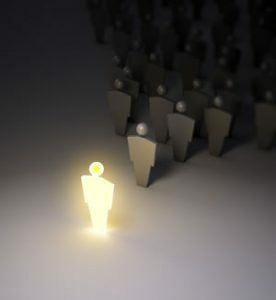 Transformational Leaders’ high expectations give their subordinates the self-confidence to persist in the face of setbacks, often resulting in exceptional performance. Executives described as transformational Leaders pays attention to their followers’ personal interests, expresses confidence in their abilities and share a vision that is clear and engaging to all. The concept of transformational Leadership was initially introduced by Leadership expert and American presidential biographer James MacGregor Burns. Researcher Bernard Bass expanded upon Burns original ideas to develop what is often referred to as Bass’s Transformational Leadership Theory. Bass described four factors of transformational Leadership. Intellectual Stimulation – Leaders not only challenge the status quo; they also encourage this in followers. To know more about Transformational Leadership please check one of AZTech’s best courses – Leading Strategic HR Transformation. We hope to see you in our future sessions!